In the first three installments of this series, we reviewed Low Impact Development (LID) techniques, how they work to mimic the natural system, and what benefits LID offers to the community, the developer, the environment, and the property owner. In this fourth installment, we'll provide an overview of the available implementation measures that your community can use to start reaping the benefits of LID. Let’s assume that the benefits of Low Impact Development are a rising priority for your community. Now you may be wondering, “How would the Planning Commission do LID in my community?” We provide you with a nuts-and-bolts checklist to help you determine an effective LID strategy for your situation. Step 1: Are there state or local regulations that prevent LID in your community? require driveways and parking lots to be impervious surface. Your Planning Commission will need to work with the governing body to revise these kind of regulations so they don’t prevent the appropriate use of LID strategies. A somewhat unique issue is Water Rights states. For example, in some western states, it would be a violation of state water rights for an individual to harvest rainwater in a rain barrel on their property. States that have Water Management Districts (Florida is one) may also have governance over rainwater and stormwater, so check with your municipal or county legal counsel before you proceed with implementing LID in your community. 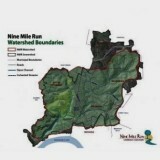 Step 2: Has your community been a part of a watershed study? A study of the hydrology and hydraulics of your watershed (see our previous column for definitions) is important for understanding which Integrated Management Practices will work the best for your community. The results of the study can be formatted as a LID handbook for your community, and provide specific details that will help guide IMP design and installation. 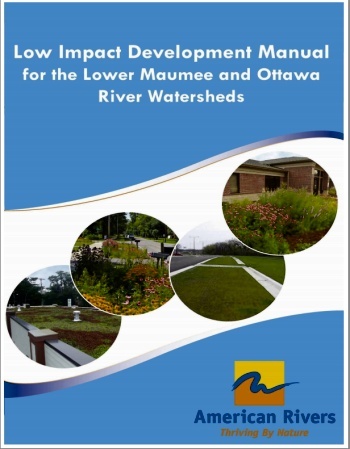 For one good “role model” check out the Low Impact Development Manual (pdf) prepared for watersheds in the Toledo, Ohio area. We recommend that your community partner with other communities in your watershed to develop a watershed study. This will help to ensure that you are investing your time and effort on a LID program that will function effectively for your specific location and unique conditions. Hiring qualified professionals to do this kind of study is money well spent. Step 3: What are your community’s goals? Is your community looking to use LID to solve an urgent problem (such as an EPA Consent Order for Combined Sewer Overflows)? Is LID of interest because your community wants to address failing infrastructure by making the most of your scarce financial resources? Are you searching for ways to reduce the inconvenience and damages associated with frequent nuisance flooding? Are you responding to citizen interest in a “greener” community or developers’ demand for more regulatory flexibility? 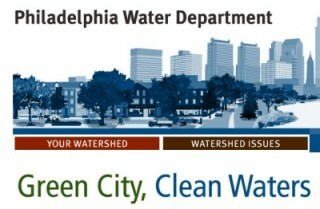 A good example of a city using LID to meet varying goals is Philadelphia’s “Green City, Clean Waters” program which deploys a wide array of IMPs to achieve the city’s economic, environmental and community goals, including addressing a CSO consent order. 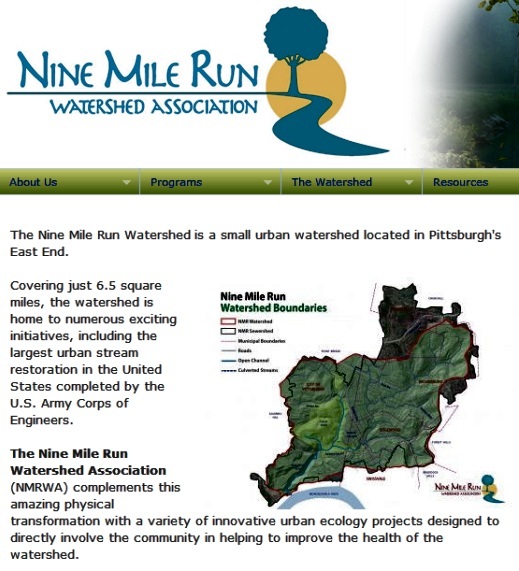 In our own community, the Nine Mile Run Watershed Association provides education and technical assistance to residents for the installation of rain gardens, rain barrels, and street trees. In the Potrero neighborhood of San Francisco, the community formed a “Green Benefit District” to install LID practices in their community. With characteristics of a Business Improvement District, but overseen at a Property Owners Association level, these community advocates are combining their own funds with grants and self-imposed taxes to green their neighborhood. It is very important to understand that depending on your community’s circumstances, LID may not solve all the infrastructure and/or stormwater issues that you face. However, LID can be an important component in achieving a cost-effective and resilient stormwater management system, as well as providing community amenities. Your watershed study will help you to understand the results you can expect to achieve with LID. Having realistic expectations will help you to refine your community’s LID goals. Step 4: What is your community’s administrative capacity? Some implementation measures, such as performance standards, provide greater flexibility for developers but the trade-off is that they require more specialized staff to administer them. If your local regulations are too complex or burdensome for your staff situation, then your LID program has less chance of being successful. Make sure that the LID program you develop is “doable” for your planning and development staff. The National League of Cities’ Sustainable Cities Institute offers an excellent online resource page containing nearly two dozen examples of local ordinances. A new LID program will require a certain amount of staff expertise to effectively oversee implementation, so whether you have a simple rain barrel program or an aggressive LID campaign, expect to provide some appropriate funds for your staff’s professional development. In our next installment of this series, we will venture away from the nuts-and-bolts of LID and explore a few creative approaches for developing with a low impact. Jim Segedy, FAICP, worked for many years in Ball State University's Community Based Planning program, providing assistance to more than one hundred communities and many plan commissions (as planning commissions are called in Indiana). He is currently an adjunct Professor of Urban Studies at the University of Pittsburgh; and a member of the Edgewood, Pennsylvania, Planning Commission. Lisa Hollingsworth-Segedy, AICP, is the Associate Director for River Restoration for American Rivers' Pittsburgh field office. Before moving to Pennsylvania, she spent over a decade as a circuit-riding planner for a regional planning organization serving the western fringe of Metropolitan Atlanta. Part I: What Is LID? About the Segedys, and links to their other PlannersWeb and Planning Comm'rs Journal articles. Considering Stormwater Management in Site Plan Review, by Chester L. Arnold, Jr.
Take Two Hours of Pine Forest and Call Me in the Morning (Outside Magazine Online; Dec. 2012).